At Glass FX we use our experience, and technical know how to custom design your fully compliant frameless pool fence to achieve maximum function and maximum aesthetic appeal, without sacrificing strength or security. Pool fencing has traditionally focused on safety – and there is no argument that safety must be our primary concern and priority, incorrectly managed pools are extremely dangerous. However form has finally caught up with function, and through developing technologies, aesthetics have caught up with safety regulations and we are now able to offer homeowners frameless glass pool fences, the ultimate in pool safety, at reasonable prices. No more pools in cages. Frameless glass pool fencing is without doubt the pinnacle of sophistication and elegance when it comes to ensuring safety around your pool. Frameless glass fencing is unique to pool fencing in that it offers a completely unobstructed view of those in the pool and those who shouldn’t be. Glass does not impede in any way your ability to supervise children in your care. Glass is also the most difficult fencing to climb, with no bars or frames to assist, glass is a smooth virtually unclimbable surface. Without doubt the most important safety feature of a pool fence is the gate. Our genuine commitment to pool safety and quality products lead Glass FX founder Michael Stuart to design and develop an innovative new hinge in 2006 which is today Australia’s premier and safest hinge, the POLARIS Soft Close Hinge. Glass FX installs the POLARIS Soft Close Hinge exclusively so you can rest assured that your pool fence and gate will form a secure yet stylish barrier around your pool. The bold architectural look of frameless glass is unmatched in lifting the look of your poolside area from a standard backyard to one of modern elegance and luxury. Frameless glass, when installed by us – with precision, quality materials and attention to detail, is an investment that will add value to your home. Whether you are refreshing an existing pool area or embarking on a new build, frameless glass done well will showcase your assets, lending a contemporary sophistication to your outdoor area whilst highlighting your pool and other beautiful features of your landscape. Glass FX pool fencing systems offer the complete package of technology, design and exceptional workmanship that results in safety, beauty and elegance for the client. 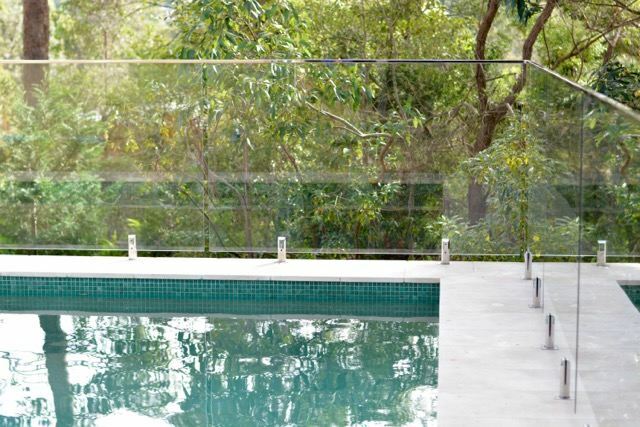 Glass FX offers frameless glass pool fencing solutions for all of your Sydney pool fencing needs. 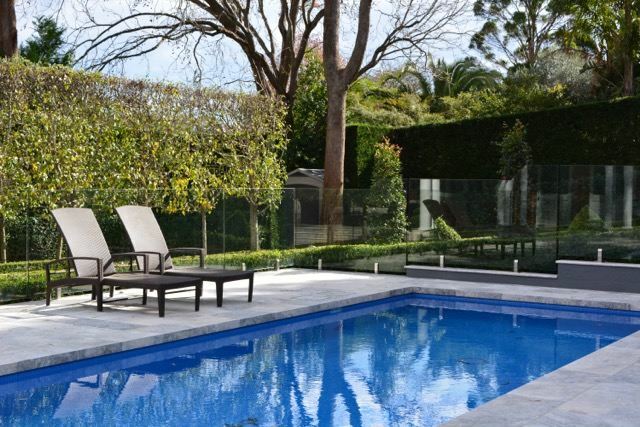 With full service available in the city of Sydney and surrounding suburbs, business and home owners are able to take advantage of beautiful and excellent quality glass fencing that not only provides safety advantages but also adds a classic, sharp and sophisticated look to any pool area at home or at a business location. Glass FX works to provide these services to both residential and commercial facilities throughout Australia. Glass Pool Fencing FX were great to work with. It took me ages to find a reliable company to fix my dodgy glass pool gate hinges. Lisa was fantastic. She efficiently organised an upgraded replacement and had it all fixed within a day. Josh who attended site was also very courteous and professional - the crew went above and beyond by realigning my glass fence panels as well. All was clean and tidy when they left. I cannot recommend Glass Pool Fencing FX highly enough! We spent a deal of time finding a firm that could do a balustrading job in two areas of our home. Through word of mouth and reviews we selected Glass FX. Lisa was quick on the return of our inquiry and Mark was professional in his approach to the job and also gentle in his suggestions to make the tasks easier and better looking. Lisa, Mark, Josh and the rest of the team have achieved a stunning result and have done it professionally, affably, quickly and cleanly. We could not be happier and, as such, commend the Glass FX team unequivocally.